Casal de Flores (country place of flowers) is an albariño that enjoys great prestige of its quality, renowned for the numerous prizes it has received at the annual Wine of Author event in Meaño. It's not in vain that the visitor who arrives at the winery (bodega) will leave surprised about the complexity of aromas and pleasant flavor that intices you to savour another glass. 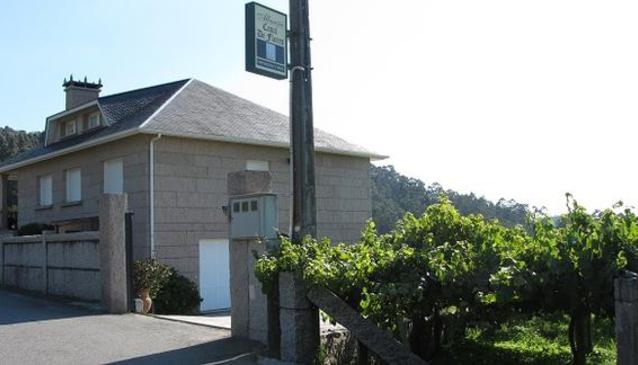 Located in a beautiful neighbourhood in the direct heart of Salnes, the home of albariño, with an impressive series of pleasant views of the vineyards and Arousa estuary ( ria de Arosa). Founded in 1994 in the hands of Manuel Besada Frieiro who created his mark after dedicating all of his life to the world of albariño. In 1997 he handed over the reins to his daughter,Pastora Besada Pérez,who had just returned from Switzerland where she was working. Although from an early age she had always helped her parents with the winery she began then to dedicate her life proefessionallyitself professionally to harvest and to elaborate this great wine following on the family the tradition of her father and introducing new technologies. Opening Times: Monday to Monday from 8 in the afternoon to closing.